Yacht charter in Dubrovnik is popular among sailors who would like to sail and visit southern part of Croatia. 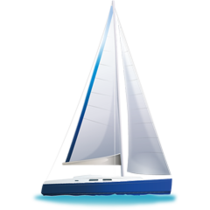 Yachts can be chartered only from one marina, marina ACI in Komolac, which is situated around 4 km from the centre of Dubrovnik and is easily accessible by car, bus or taxi. Most of the boats are sailing boats, there are a few catamarans and motorboats. Yacht charter in Dubrovnik is also a good starting point for sailors who want to visit Montenegro, but please keep in mind that not all yachts are permitted to sail outside Croatia. Where to rent a boat in Dubrovnik? To be very strict, there are 2 places, where you can rent a yacht. The first one is the town harbor, but there are very few yachts which you can borrow, almost 90% of the fleet is located in ACI Marina Komolac. It is situated at Na Skali 2 street in "Miho Pracat" (42040' N 18007' E), It is very beautifully placed, because it is in the valley, so when you charter a yacht, you will immediately see beautiful views from the board of the rented vessel. Through the valley goes the little Ombla river, which at the height of marina is quite wide and going slowly, so when you start your sailing route, you will start it on the river. Harbour is quite well equipped, so the crews will find everything they need at the beginning. Let’s start with the most luxurious facility, so the swimming pool. It is situated inside the harbor and just next to the very cosy restaurant and cafeteria. In the same building charterers will find marina’s office, where they can make all formalities connected with mouring in port, but also they can check the weather just before the sailing trip begins. There is also a laundry, so after longer sailing you can always make some laundry here. At the disposal of each charterer there is a parking place, which costs around 10 EUR per day. Of course marina is also equipped with showers and toilettes which are free of charge for crews coming from chartered ships. There is a small supermarket (08:00 – 21:00 Monday-Saturday, 08.00-20.00 Sunday), a nautica shop, harbour has 60-tone lift. Customs formalities all sailors can do in port of Gruz. This harbor is main ADAC and ÖAMTC information and service points. Operators in have their own building and this is the place where you should firstly when reaching the port. The building is located just next to the piers so there are only few steps to go onboard. Marina Komolac is opened all year roung and it offers around 450 moorings and about 250 berths for the boats of different size. How to get to the base? You can access the base using airport transfers from Cilipi airport (main airport marked DUB) offered by local Croatian Companies, it usually costs 10 EUR per person one-way (the route is about 27 km) or you can reach it with bus or come there by taxi – it is about 5-6 km from old city. It is not far away, so you will not spend a fortune on that and you can easily arrange it last minute. Marina is near Komolac city and more or less it is 2 Nautic Miles from the doorway to the port of Gruz. If it is difficult for you to get to this southern city, you may always broaden your search to the whole country, click here: Yacht charter Croatia. You can then rent yachts from the whole Adriatic! It may be a surprise for some people, but yacht charter in Dubrovnik is also very popular among Italian customers. From Bari in Italy you can reach Dubrovnik harbor in about short trip. When finishing your rental, please remember to fill up you diesel tanks. It is important to do on Friday evening and come there not very late, because all ships and catamarans and motorboats come on this day and finish their charter. Motorboats have really huge diesel tanks, so sometimes filling them up with diesel lasts more then a half an hour. So prepare your time for this duty. Be careful when you stop your vessel in queue for the gasoline station, because you will then have to face the water current (you are on the river), so keep an eye on your ropes and general behavior of the bareboat. Depths are also very small, so your depth indicators will show you are almost touching the bottom with your boat. Don’t worry, it is not so bad. What to see before boarding? City is called a “Pearl of Adriatic” and it was listed in 1979 on the UNESCO World Heritage List. The most famous is of course the old town, which is a must-see for each visitor. Filters will help You in finding perfect yacht for Your cruise. Enter Your search criteria and we will show You only those yachts, that meet Your requirements.